Real estate companies such as Wave Group’s Wave Megacity Centre, among others, are said to have approached the Supreme Court challenging the government’s decision to grant homebuyers the status of financial creditors. In their petition before the top court, these real estate companies have claimed that granting financial creditor status to all homebuyers and real estate allottees will complicate the situation as they will now have to accommodate all such people to the committee of creditors. “These companies have been fighting battles on many fronts. Adding homebuyers to the mix has only added confusion. In fact, if they are not part of the legal process, the chances of them getting at least their money back is much more,” said a source close to a company against which insolvency proceedings are on. The Parliament had, on August 11 last year, passed a Bill to amend the Insolvency and Bankruptcy Code 2016, allowing homebuyers to be treated as financial creditors. The petition by real estate companies comes nearly a month after the top court had stayed further proceedings against Ansal Housing in a similar case. 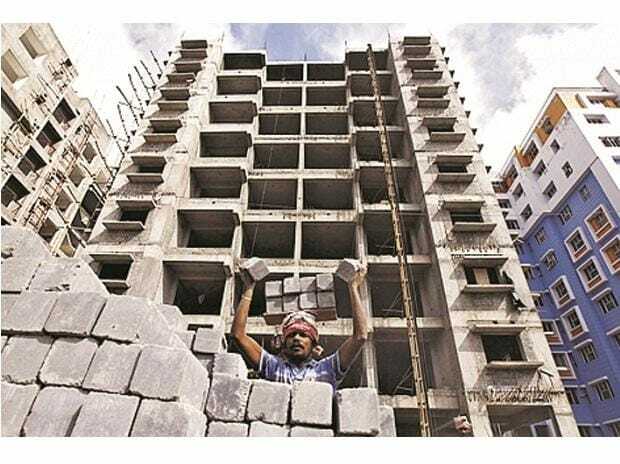 Hearing the petition moved by Ansal Housing challenging the government’s decision, a two-judge Bench of Justices Rohinton Fali Nariman and Vineet Saran had issued notice to the central government and stayed further proceedings against the company. The case is likely to be heard next on March 25. In its petition, Wave Megacity Centre has alleged that such insolvency applications moved by the real estate allottees against the company were “solely an arm-twisting and coercive tactic”. “Even in the case of justifiable delay, the petitioner will be faced with no alternative but to refund amounts as demanded by such allottees that approach the National Company Law Tribunal (NCLT). This, in turn, would have a cascading effect and significantly hamper construction work of all ongoing projects being developed,” Wave Megacity Centre has said in its petition.